I don’t paint in acrylic too often and I’m thinking that I have overlooked a very versatile medium. 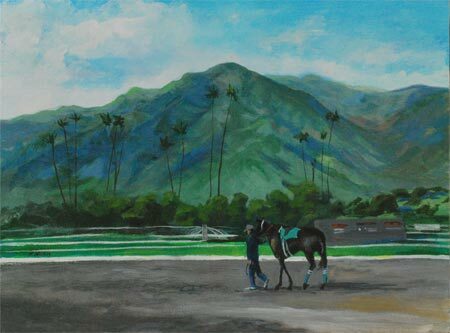 I painted this scene recently of the Santa Anita racetrack in Arcadia because I needed another painting for a show featuring the foothills of the San Gabriel Mountains and the San Gabriel Valley area. 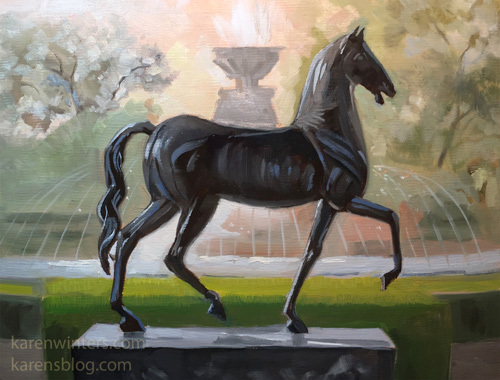 But acrylic gives a more opaque look than watercolor, and allows the same sort of brushwork that I’m used to with oil. The Bowers Museum show was rewarding in every way. 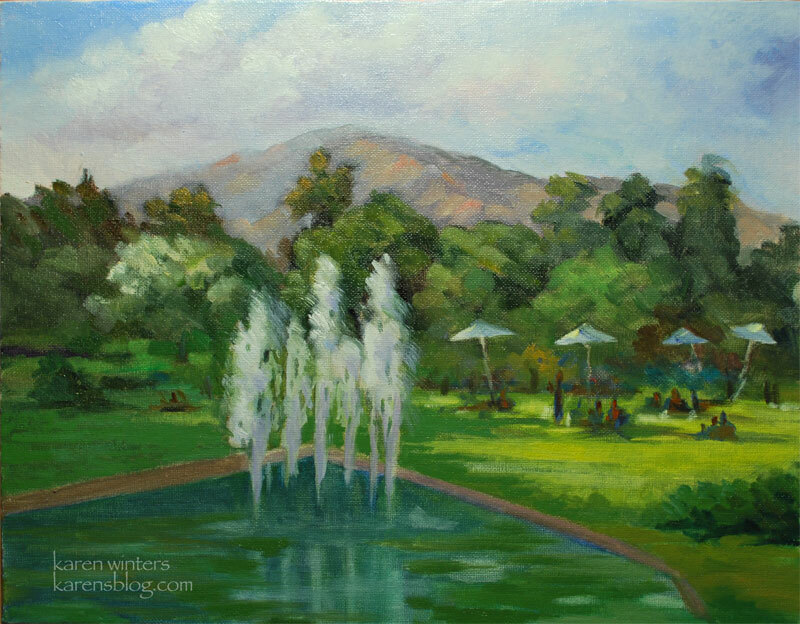 One of my paintings got an Honorable Mention award and sold to a new collector who also took one of my Falllbrook landscapes. One of my spring wildflowers went home with another couple. 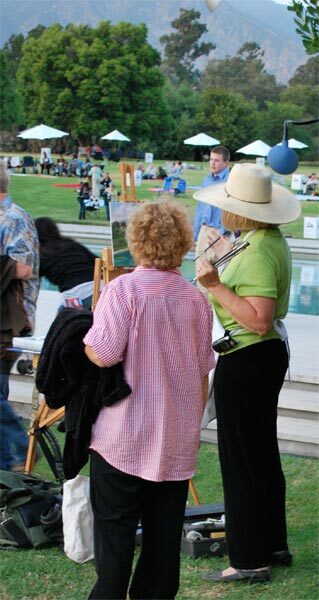 It was fun to meet new artists and enjoy the company of some of my regular painting buddies. 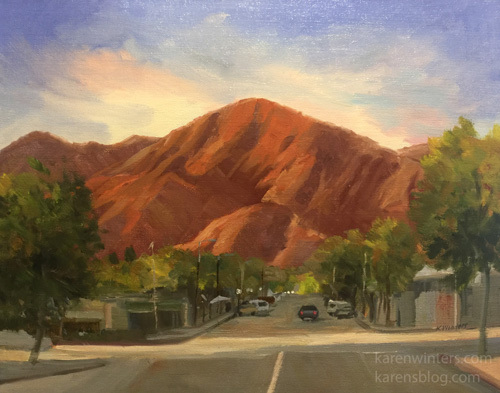 This weekend, Saturday the 26th and Sunday the 27th, I’ll be showing a large number of California impressionist landscape and seascape paintings at the Eagle Rock Plein Air Art Sale at 2222 Laverna Ave. in Eagle Rock. Show hours are 9 to 3 daily, and I will be there most of the time and probably painting. A significant percentage of the proceeds go to support the Collaborative Eagle Rock Beautiful and its projects. Come learn about drought tolerant landscaping, buy some art, support a great cause and have a good time. It’s on the grounds of the GLAD center – Greater Los Angeles Agency on Deafness. Plenty of free parking!